In this episode, you’ll learn some real-life tips to find time for your dream, even as a busy mom/entrepreneur/wife, etc. You will be inspired to believe in the value of your dream not only for the dream itself but also for the ways it will draw you closer to the Father as you take risks, leave your comfort zone and do scary things to pursue it. 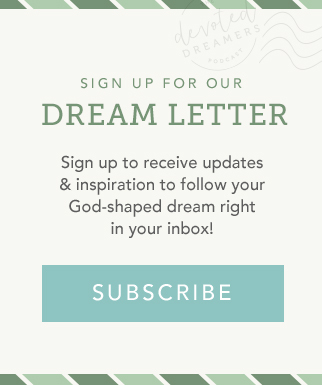 We talk about letting go of mom-guilt and discovering the benefits to your kids as you take time for the dream God has placed on your heart. Author and time management expert, Elizabeth Saunders, talks in this episode about the value of owning and sharing your truth, even if some people might not like it. 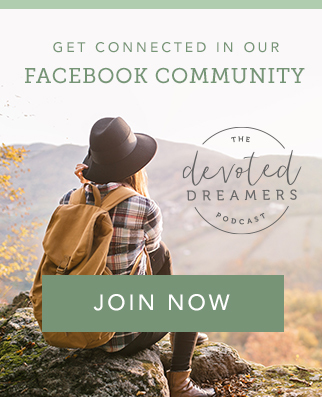 She shares her dream of helping others connect with divine time management principles and draw closer to God as well as revealing how God used her dream to convict and change her heart. She also explains how we can trust God with our time and the choices we make about how we use what He’s given us.